Won’t You Be My Neighbor? is a timely documentary for arguably one of the greatest people to have ever walked this Earth and is a beautiful reminder of what genuine love for one another looks like, giving the viewer hope as to what we, as people, can be if we simply love one another. This example was set by Fred Rogers on a daily basis on his television show Mister Rogers’ Neighborhood, a simple but educational program for young children that aired from 1968 to 2001. The topics Rogers would cover on his program were unprecedented for their time. Through the use of puppets and a few actors, Rogers would tackle topics such as racism, divorce, assassinations, and even the Vietnam War – you know, topics kids likely didn’t fully understand and could never really discuss with anyone objectively. I can’t imagine any other children’s show would dare push those topics on their young viewers, but Rogers did so in such a remarkable and educating way. 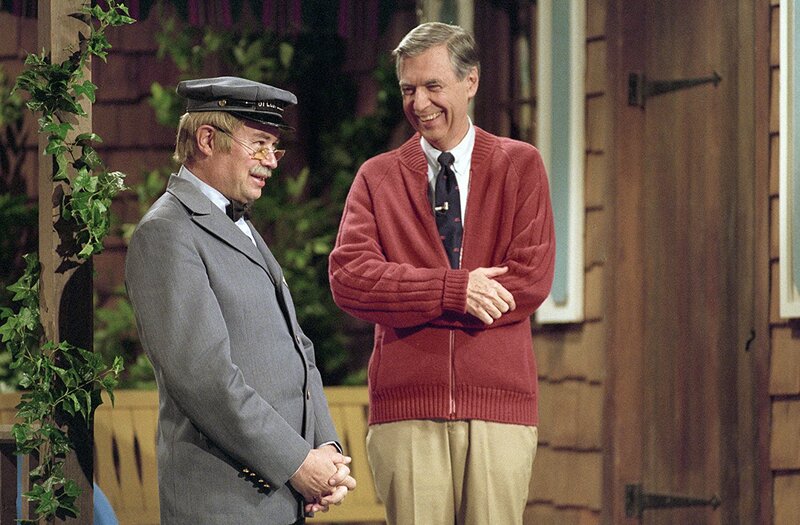 All of what became Mister Rogers’ Neighborhood sounds like it happened by not only having a dream, but also by a little bit of chance which is even more fascinating. Rogers, not having even owned a television, saw what a powerful tool it could become and decided to hold off on going to seminary school to pursue the possibility of educating through it. In the documentary, we see his earliest rendition of the show broadcast on WQED, a local channel based in Pittsburgh, and how cheaply it was made. 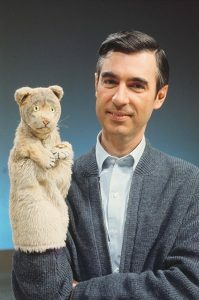 It was almost destined that the puppets became a staple to the Mister Rogers character, as we see a quick improvisation by him with a puppet when some of the cheap film they were using went bad. Throughout the film, Academy Award-winning director Morgan Neville (20 Feet From Stardom) interviews Rogers’ family (including his wonderful wife, Joanne) and a good number of people from his production crew throughout the years of creating his program – all of which have nothing but the nicest things to say as they reflect on his life and his impact on theirs. The individual I found most fascinating throughout this documentary (other than Rogers, or course) was François Clemmons, who played Officer Clemmons on the show for twenty-five years. Clemmons was instrumental in Rogers’ goal of educating kids in the acceptance of one another, especially being one of the first African Americans to have a recurring role in a children’s television show. Their friendship extended beyond the show, as well, as Rogers became sort of a father figure to Clemmons. I don’t want to give too much away here, because I think his stories about Rogers are incredibly touching and have a significant impact on the film’s message. It was a such a wonderful experience seeing how the program came to be, but even more so seeing Fred Rogers’ unwavering passion in regards to the importance of educating the younger audience. This man was a saint. At one point in the documentary, even one of his sons likens him to growing up with “the second Christ” at the family dinner table. 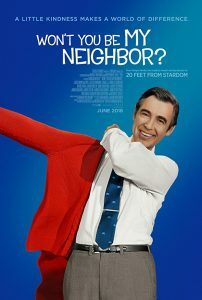 Rogers had such a huge impact on the world and I think Won’t You Be My Neighbor? is a must-see for everyone who longs for a better world. I just wish I had spent more time with him in his neighborhood as a child.